Ahhh...the ever changing world of social media, computers and the internet. Just when I think I kind of know what I'm doing, something new pops up and puts a kink in things. 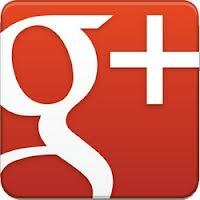 Well, Google Plus or Google + or G+ has put another bump in my blogging world. Mostly ALL of the people who comment on my blog using Google Plus are NO REPLY...no email address attached to the comment. I know there must be a way to add one, because I have had a few in the past where the email address shows up...3 people maybe!! Should have contacted those few and asked them, now that I think about it. Can anyone share the way to add an email address to the Google Plus profile account so it shows on the comments people leave on any blog? Thank you so much in advance if anyone can help with this!! at the top of your "about" page there is a button that says "change contact settings". you can then select if you want a button for people to send you an email (second option). your email address isn't visible, but if someone wants to send me an email, they can click the "Send Laura Jane an email" button. Ok, I did not realize that when I switched to Google+ my email was no longer shown. I have tried doing what Stina's link did. I hope it works. I switched to Google+ because of posting pictures. Now I wonder if I will still be able to post pictures on my blog. (Big Sigh) I just think I am getting the hang of this computer thing, and they go and changed things. I had my box checked (Stina's site) before converting to Google Plus and then yesterday someone told me I was a no reply. I googled and really found nothing so I unconnected my blog from Google +. Why can't this be easier??? Google really does drive me around the bend at times, when their constant "improvements" to blogger really seem to be making people's lives difficult. When I encounter a problem with blogger, I go to Blogger Help, but because I find Blogger Help to be pretty useless, I click on the link in the upper right hand corner called Blogger Product Forum. This is where you can post questions that will be answered by other bloggers. Far more helpful. I ended up solving most of my problems. Using a free program called Ad This, which would not solve this particular problem, but I found out about this program on the Blogger Product Forum. Good Luck! I am going to assume that I, also, was no-reply. I've reverted back to my old profile. Can you reply to me now! I hate google anything. I was trying to add a header to my blog, had to download Google Chrome, and it screwed up everything. I have installed and unistalled several times, thinking eventually I'd figrue out what was going on, but gave up (for now). I always come to your blog to comment, too, so I can't help much with the G+ issue. Stina's link works. I was sent it a few days ago and it fixed that problem for me. THANK YOU! Because you posted this it led me to one of your commentor's solutions. FYI Stina's link does not work. I did all that and converted back to google+ like that lady said and it went back to no reply. I guess the only solution is ridding yourself of google+.